The John Richard Savage Class Collection was donated by Hugh Savage in May 2014 (accession number 2014:017). The John Richard Savage Class Collection is organized into two series: Published Material and Photographs. Both are arranged alphabetically. John Richard Savage was born on April 17, 1869 in the Frankford section of Philadelphia to John Richard and Sally A. F. Savage. He entered the University of Pennsylvania in 1884. While at Penn, Savage played on team sports including cricket, football and crew. He was the spoon man for the Class of 1888, receiving his Bachelor of Science that year followed by a Bachelor of Civil Engineering in 1889. Savage’s career as a civil engineer included positions with the Pennsylvania Railroad, the U. S. Army Corps of Engineers in Seattle, WA, the Lackawanna Steel Company, and the Long Island Railroad. He married Elspeth Mona Murray on June 7, 1904. Savage was a member of the Penn Club of New York, the Engineering Alumni Society of the University of Pennsylvania, Psi Upsilon Fraternity, and the American Society of Civil Engineers. He died on February 25th, 1922 at the New York Eye and Ear Hospital following surgery for meningitis. 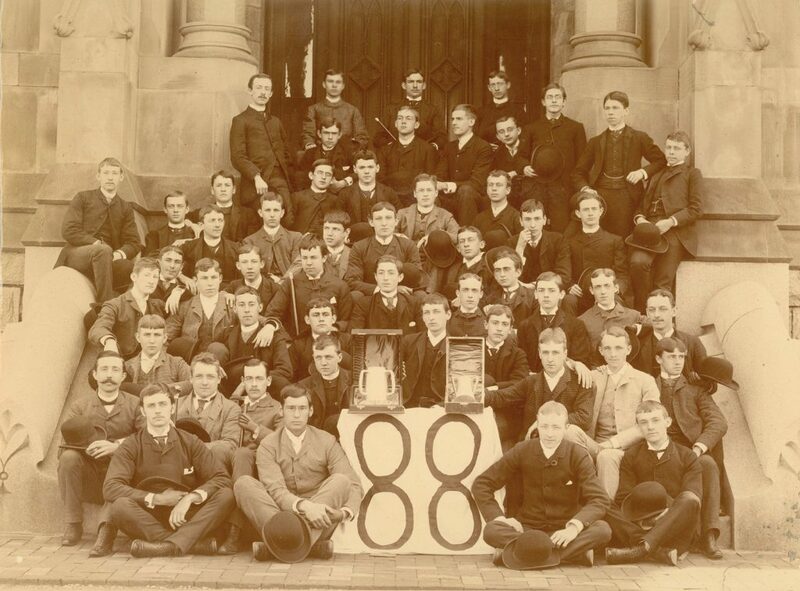 The John Richard Savage Class Collection consists of published memorabilia and group photographs from Savage’s time at the University of Pennsylvania. The majority of photographs are oversized team photographs. There is one unidentified group photograph ca. 1910. Spoon Man Award Text (photocopy) n.d.